Seeing its gold medal dreams start to slip away after falling behind by 20 points early in the third quarter, the USA Men’s AmeriCup Team (5-0) rallied in the second half for a remarkable comeback and earned an 81-76 victory over host Argentina (4-1) to win the FIBA AmeriCup gold medal on Sunday night in Cordoba, Argentina. “First of all, I’m very thankful to the people of Argentina for hosting such a great event. I thought the fans tonight were a tremendous home court advantage, so we are very appreciative of their passion and their respect,” said USA head coach Jeff Van Gundy. “On the court, Argentina is a great team. They were beating us up pretty good. We were down 20 in the second half. But, because of great play, particularly by Jameel (Warney) … and a bunch of other guys, our defense kicked in and we were able to come up with a hard-fought win. Center Jameel Warney (Texas Legends) finished with 21 points and seven rebounds; Darrun Hilliard added 15 points, six rebounds, two assists and two steals; Reggie Hearn (Reno Bighorns) contributed 14 points on 4-of-6 shooting from 3, and added six rebounds and two assists; and Xavier Munford (Greensboro Swarm) had 10 points, two rebounds and two assists. 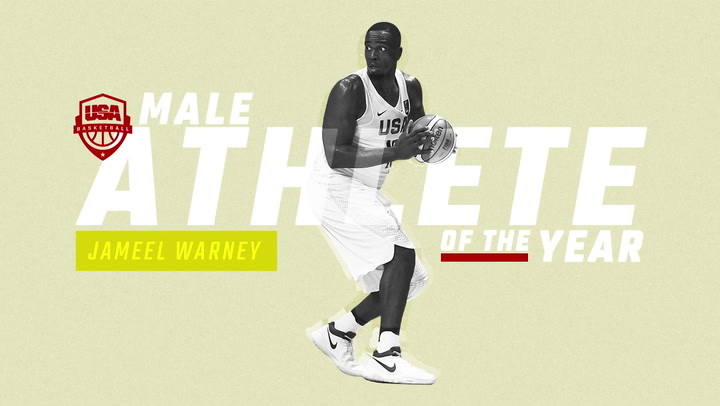 Warney, who averaged 12.8 points and 8.6 rebounds over the USA’s five wins, was named MVP of the FIBA AmeriCup 2017. He was joined on the five-member all-tournament team by teammate Hilliard, who finished as the USA leading scorer, averaging 13.4 points and adding 3.4 rebounds per game. “This was definitely a great experience the last week playing in Uruguay and also here,” Warney said. “Today’s game was really great. The crowd was into it for all 40 minutes. That’s a great Argentina team. We had a slow start, but we picked it up in the second half with the coaching staff believing in us for the whole 40 minutes, telling us to never give up. They gave us confidence to push back and not get pushed around and not give up. I’m proud of our performance, and I’m happy we won today’s game. “I put a lot of pressure on myself to be great these last couple weeks. My role was to come off the bench and give 110-percent effort. I’m happy to do that for this team, and I’m happy to win MVP, but I’m most happy we won that gold medal. I’m happier about our team performance than my individual performance." In a game of two distinctly different halves, the USA struggled with it shooting in the game’s first two quarters and shot 30.6 percent from the field, 44.4 percent (4-9 3pt FGs) from 3-point, while shooting and making just one free throw. Defensively, Argentina appeared unfazed by the USA defense over the first two quarters and shot 47.2 percent from the field, 40.0 percent (6-15 3pt FGs) from beyond the 3-point arc, and held a 10 rebound advantage, 26-16, which all led to the host country jumping out to a 42-27 lead at halftime. Things continued to look bleak in the early minutes of the third quarter for the Americans after Argentina opened with a 6-1 run to take a 48-28 lead. Argentina was comfortably ahead 52-33 with 6:19 left in the third when Warney scored to get the USA rolling, and over the course of the game’s final 16:19, the USA would outscore Argentina 48-24 to stake its claim on the Americas championship. Trailing 52-33, over the final 6:01 of the third quarter, the USA mounted a 17-4 offensive run that cut Argentina’s lead to 56-50 with the final period still to be played. A Hearn 3 with 7:04 to play tied the score for the first time since the start of the game, 61-61. Munford followed up with a basket on the following USA possession, and with 5:59 to play, the USA had fought its way back and took the lead, 63-61, for the first time in the contest. The USA never surrendered their lead. Up 74-70 with just 1:18 to play, the USA, despite going just 4-for-10 from the foul line over the final minute, made the defensive stops needed. Leading 79-76 with 7.2 seconds left in the game, Warney grabbed the rebound following a miss 3 by Argentina and slammed the door shut for the win after sinking two free throws that pushed the USA to the final score, 81-76. 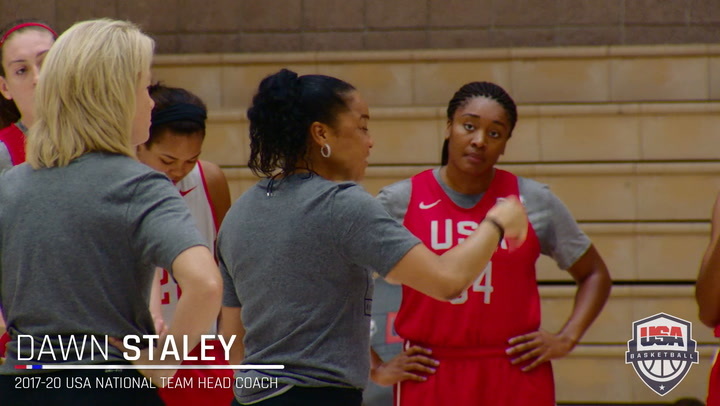 A true team effort, the USA’s bench scored 50 points, compared to Argentina’s reserves accounting for 15 points, and the U.S. committed just seven turnovers. The USA earned its seventh gold medal in FIBA AmeriCup/FIBA Americas Championship play. 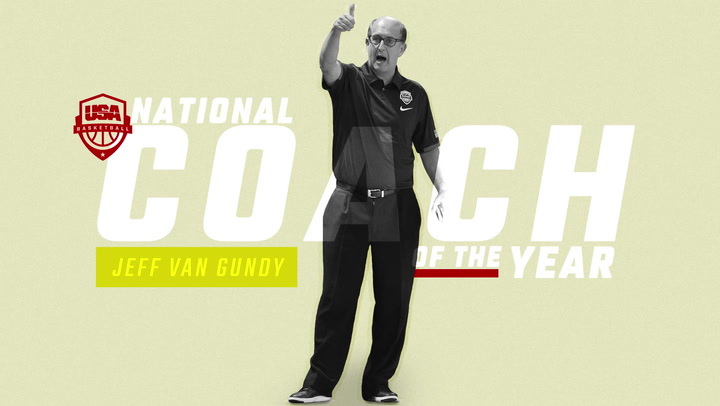 Van Gundy is being assisted by current NBA G League Northern Arizona Suns head mentor Ty Ellis and veteran international coach Mo McHone. The FIBA AmeriCup 2017, considered the FIBA Americas zone championship, featured 12 nations from North America, Central America, the Caribbean and South America. 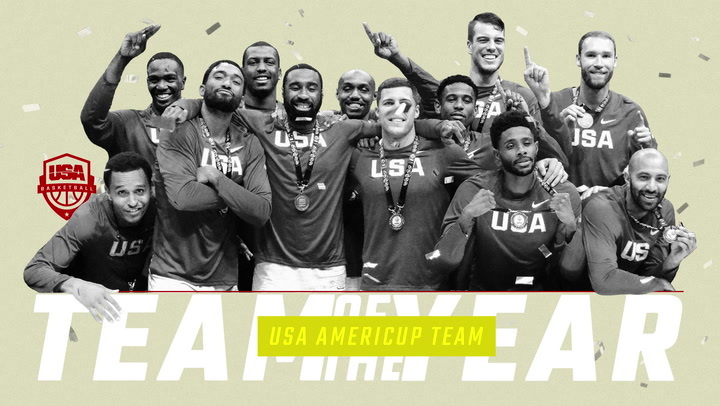 Overall, USA Basketball officially has now fielded teams in nine AmeriCups (formerly known as FIBA Americas Championships), and has won seven gold (2017, 2007, 2003, 1999, 1997, 1993 and 1992) and one silver medal (1989), while compiling a 65-10 win-loss record.